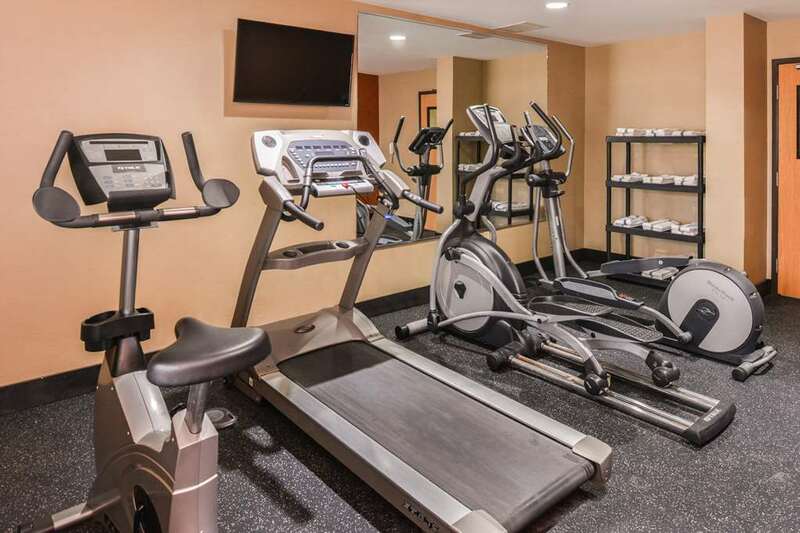 Stay awhile and live like you are at home at the 100 percent smoke-free and pet-friendly Suburban Extended Stay Hotel Lenexa-Kansas City in Lenexa, KS. We offer our valued guests a simple and affordable solution to long-term housing needs, with no lease or credit check. We are near Johnson County Community College, Kansas City Zoo and Sprint Center. Amenities include free WiFi, free parking, guest laundry facilities, weekly housekeeping services, copy and fax services. Your spacious suite features a fully-equipped kitchen, desk, hair dryer, HDTV w/ free premium movie channel, iron and ironing board. Also, earn rewards including free nights and gift cards with our Choice Privileges Rewards program.